Former PJ inspector and 17 other defendants are accused of violent assaults on homes. A failure in the recording system of the Sintra Tribunal will force the repetition of the new investiture phase of the process in which Paulo Pereira Cristóvão, a former PJ inspector, and 17 other defendants are accused of violent assaults on residences. The case returned to the investigation phase after the Cascais Court of Criminal Investigation (TIC) overturned the first instruction - and consequently all the trial that had begun in June 2016 - following a decision of the Supreme Court of Justice. 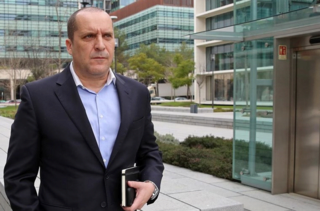 The Supreme Court declared the "material incompetence" of the Central Court of Criminal Instruction for the completion of the investigation phase, after appealing the defense of Paulo Pereira Cristóvão. The case belongs to the ICC in Cascais, but due to the high number of defendants this new instruction - optional phase in which a judge decides if the defendants go to trial - was held in the Court of Sintra, also in the district of Lisbon. This phase began on March 2, with the hearing of witnesses and defendants who requested the opening of the investigation, proceeding on March 9 with the investiture debate, in which the Public Prosecutor requested that all defendants, accused of violent assaults residences in Lisbon and Cascais, were again tried for the facts that appear in the indictment. The reading of the decision was scheduled for Thursday at 2:00 pm in Cascais, but it was not effective, and the judge ordered the repetition of this whole new phase of instruction. "In spite of the great care taken by the court in designating a meeting for the appointment of a stagecoach, a concerted appointment with the lawyers and the Judge-President for the availability of Sintra's mega-chamber of hearings, proper notification of all the participants, the only thing could fail was the one that failed, for reasons completely to which we are unrelated and that relate to the computer system, "explains the judicial order, which Lusa agency had access to today. The criminal investigation judge (JIC) adds that investigations, statements by witnesses and defendants, "are not audible in the recording of the diligence", the same is true of the allegations made by lawyers in the investigatory debate, although in this case there is no obligation to recording. Despite the failure of the computer recording system, JIC, in order to take advantage of the acts practiced, thus avoiding the repetition of this new phase of instruction, suggested the transcription of the declarations of the witnesses and the defendants, "by written summary (even because the court is in possession of the notes of everything that has been said), giving the possibility to the lawyers to suggest "alterations or additions". The Public Prosecutor's Office did not oppose this solution, but the lawyer of one of the defendants (not identified in the order), who made statements, "opposed the method suggested by the court, requesting [that] the proceedings be repeated" previously. "In order to guard against any possible subsequent nullity, the court will repeat the steps taken, noting with regret the inconvenience caused to the procedural interveners and the delay that it generates in the process decision, which was already scheduled [at 14: 00 of Thursday], "the statement said. The JIC scheduled the inquiry of four witnesses and the hearing of two defendants at 10:30 on May 11, and a new investigative debate for 10:00 on May 18. However, this next phase of instruction will be held in the Court of Cascais. The 18 defendants, including three police officers and Juve Leo's cheerleader Juve Leo, Nuno Vieira Mendes, known as Mustafa, respond by criminal association, robbery, kidnapping, possession of a prohibited weapon, abuse of power, domicile violation by employee and document forgery. According to the indictment of the Public Prosecutor's Office, Paulo Pereira Cristóvão (former inspector of the PJ and also former vice-president of Sporting), two other defendants and the three police gathered information and decided which people and places to assault by the group, namely in the zone of Lisbon and on the south bank of the river Tagus. Court of Cascais will judge former Sporting chief, Juve Leo boss and 15 defendants. The former Judiciary inspector and former vice-president of Sporting, Paulo Pereira Cristóvão, and Nuno Mendes, known as Mustafa, head of the Juventude Leonina clique, are among 17 defendants who will again be tried for joining a network of violent assaults to residences. A criminal examining judge at the Cascais court yesterday took the decision - and also separated from the case the 18th defendant accused by the Public Prosecutor's Office, who will be tried for the crime of possession of a prohibited weapon. It is recalled that the dismantling of this group was the responsibility of the National Counterterrorism Unit of the Judiciary Police. In addition to Cristóvão and Mustafa, the gang was headed by a PSP agent and two of his colleagues, all from the Setúbal Command. They gathered information and decided which people and places to gang assault. The preferential targets were located in the Lisbon area and the South Bank of the Tagus and were attacked by the operatives of the dismantled group. The group was judged between June 2016 and February 2017, at the Justice Campus in Lisbon. However, an appeal by Pereira Cristóvão, brought before the Supreme Court of Justice, finally took jurisdiction to the instruction, which was made in the central court. The case has returned to the investigation stage, in the court of Cascais, which now sends 17 defendants to trial again by criminal association, robbery, kidnapping, possession of a weapon, abuse of power, violation of domicile and falsification of document.